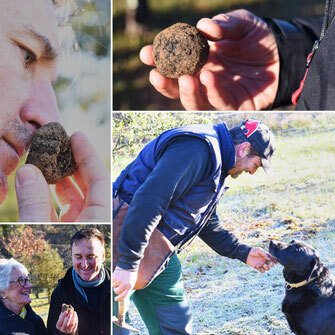 Voted in The Times newspaper '50 best...' in France 2018, our truffle and wine weekends focus one day on truffle hunting with renowned truffle hunting experts and their dogs as you go in search of the famous Perigord Black Truffle. You'll learn about the different types of truffles, techniques of truffle hunting and enjoy a fabulous truffle tasting. The second day is spent in the Bergerac vineyards visiting 3 small family run vineyards offering excellent wines and excellent value. December through February is the Perigord black truffle season and for those with us on a Monday, we start the morning visiting the local black truffle market in St. Alvere where you can meander around the truffle stalls taking in the smells and ambiance. After lunch, we join local truffle hunting expert Sebastien and his dog Falco and go in search of the famous Perigord Black Truffle. You'll learn about the different types of truffles, techniques of truffle hunting and enjoy a fabulous truffle tasting. Outside of fresh truffle season, you can still experience all the elements of our truffle day, however, it is not possible to find a fresh truffle. That's when the ingenuity of our local truffle farmer comes into play. Earlier in the day he will have buried a black truffle somewhere on his land and, just as with a fresh truffle, you and his dog will search out and find it. Enjoy a full day wine tour providing an introduction to the spectacular wines of Bergerac by visiting three vineyards. The Bergerac region is home to over 12,000 hectares of vines, 13 AOC and more than 900 wine-growers and whilst overshadowed by their world famous neighbours in Bordeaux, Bergerac vineyards offer great value wines of a similar quality. You'll experience everything from the luminous Bergerac Sec to creamy Monbazillac via Pécharmant, a full bodied red and enjoy lunch at La Tour des Vents, a Michelin starred restaurant in the heart of the Monbazillac vineyards with exceptional views. 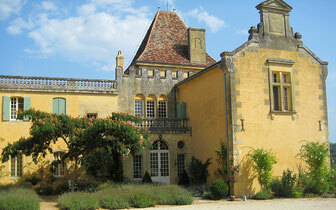 Our weekends, based in the Dordogne, South West France, run from October through March. Customised for groups of up to 4, our tours are led by Max, Duck & Truffle's multi-lingual sommelier, who is a long standing local resident with a wealth of knowledge and passion for food and wine. All of our weekends are personalised to meet individual desires. What's included in your weekend? Prices start from €595 per person and include three nights bed & breakfast based on two people sharing; two days of escorted tours; and pick-up to/from local airport or train station. See our accommodation options below. This boutique hotel, recently featured in both the Daily Telegraph and Olive Magazine, is located in the picturesque riverside village of Trémolat, voted one of France’s 20 Best Kept Secrets. Steeped in charm and elegance, this 4-star family house is located on an estate that was previously dedicated to tobacco production. With its manor house, the former farm building, the outbuildings, and the gastronomic restaurant in the former tobacco drying house, Le Vieux Logis provides havens of tranquility where relaxation is just a way of life. Experience the Dordogne as it should be by enjoying the luxurious Château Mont-d’Onel perched on a hill with magnificent views over the town and river. Set in 80 acres of parkland and wood, this historic 13th century château and grounds are now back to their former glory. Soak in the peace and tranquility of our unique location whilst taking advantage of easy walking access to the charming village of Couze-et-Saint-Front. Inside the château, you will find a cozy library and an elegant wine lounge, which spills out onto a glorious terrace and stunning views of the Dordogne valley. Le Mont-d’Onel strives to strike a balance between a top level, exclusive resort and the charm and personal touch of a family run operation. 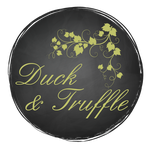 If there’s something about one of our weekends that doesn’t quite fit your interests or preferred timing, contact us to discuss a Duck & Truffle experience uniquely designed to your specification.